Visit our About Us page to find out more about our project partners. From how to manage your space and use recycled materials, to getting support and funding, School Food Matters have all the tips needed to stop you losing the plot when getting started. How much is your picnic worth? 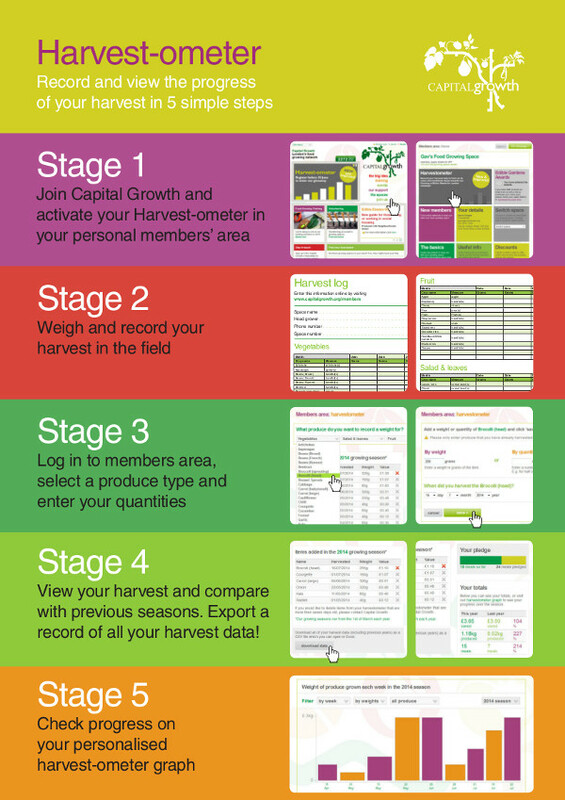 Capital Growth’s online tool, the Harvest-ometer, is a great way to engage your pupils in thinking about the productivity and value of your food growing project. By recording and entering information on how much food you harvest, you will be able to find out how much this food is worth (in £) and how many meals this contributes to. It also helps you predict this in advance based on the size of your growing space. This tool makes a great addition to the Grow Your Own picnic activity, meaning that you can encompass lots of other activities such as maths and enterprise and Capital Growth has activity sheets to help. Become a Capital Growth member for free. How much can London grow?